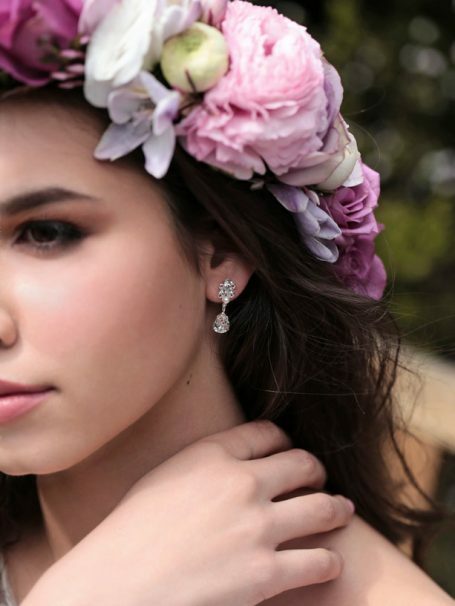 Silver drop wedding earrings are timeless. The stud has a cluster of round diamonties and one single pearl with a Swarovski pear shape drop. 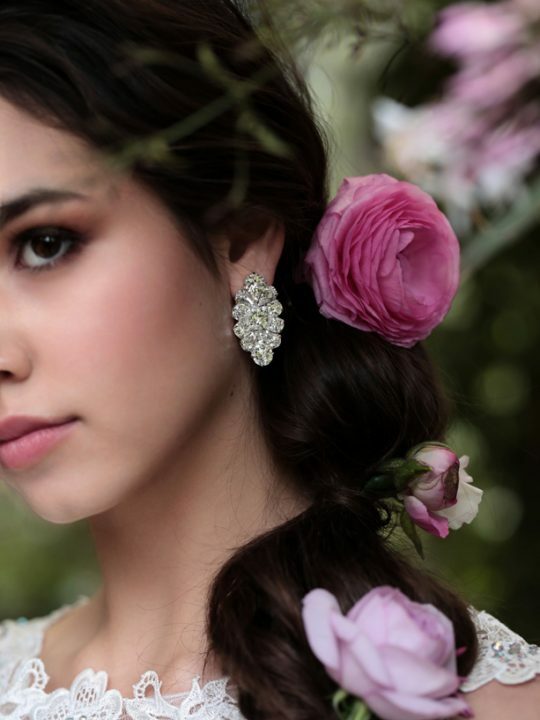 The Nirvana crystal drop earrings are our go to choice for brides wanting a timeless and lovely pair of wedding earrings. 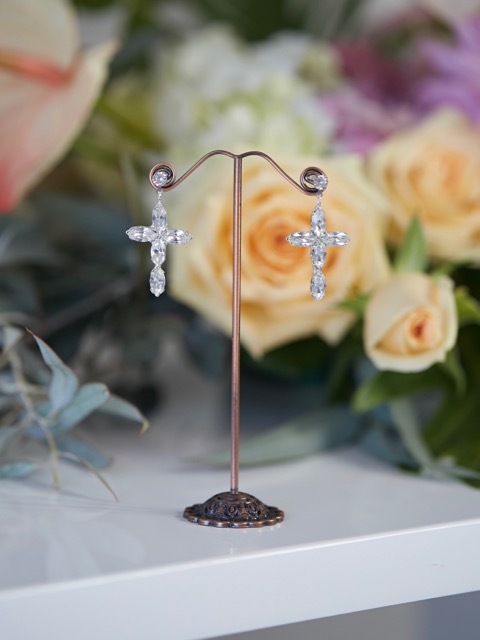 These earrings are one of our best selling jewellery pieces as a wedding, debutante or evening stud. Match with a nirvana wedding necklace or on its own, as a simple and chic earrings on their own merit. Length of Earrings are 2.5 long, widest point .8cm. For the ultimate boho wedding style check out our boho lace wedding dresses. Designed in Melbourne to compliment your figure shape and bring out the Bohemian bridal goddess from within. The Nirvana earrings make a perfect bridesmaids gift and come boxed in a hello Lovers silk pink box. For a wonderfully fresh flower crown, check out foxy evergreen florists, they made this crown for our shoot with pastel purples and pink roses.